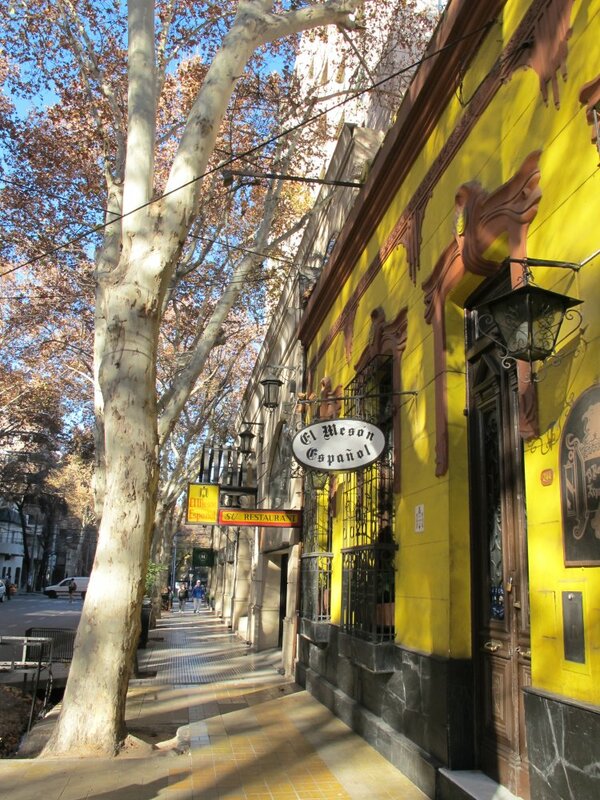 After our farm adventure we headed straight for Mendoza, the capitol of Argentinian wine. We immediately fell in love with the city’s laid back atmosphere, beautiful parks and sidewalk restaurants and bars. For soccer lovers, there are outdoor screens in front of every bar and many kiosks and there is always a soccer game to watch! With only 1 day to spent we were looking for the ultimate thing to do. 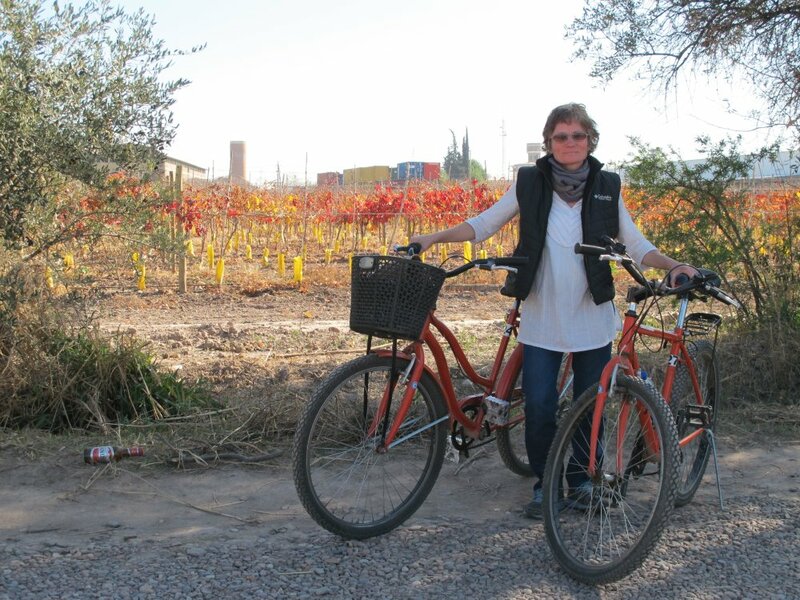 Per many tour guide books and travelers we met this would be: Take a local bus to Maipu, just outside of Mendoza, rent a bike and cruise the world famous bodegas for some wine tasting. So we did – only to find out that the tastings are overpriced and the bike route is along a main road busting with truck traffic. At least we found a Biergarden for lunch – which was actually a garden bar of an artist community which also serves beer. After 2 hours and without having tasted any wine we returned our bikes very much to the surprise of the rental owner. He felt so bad that he invited us for coffee and drinks. 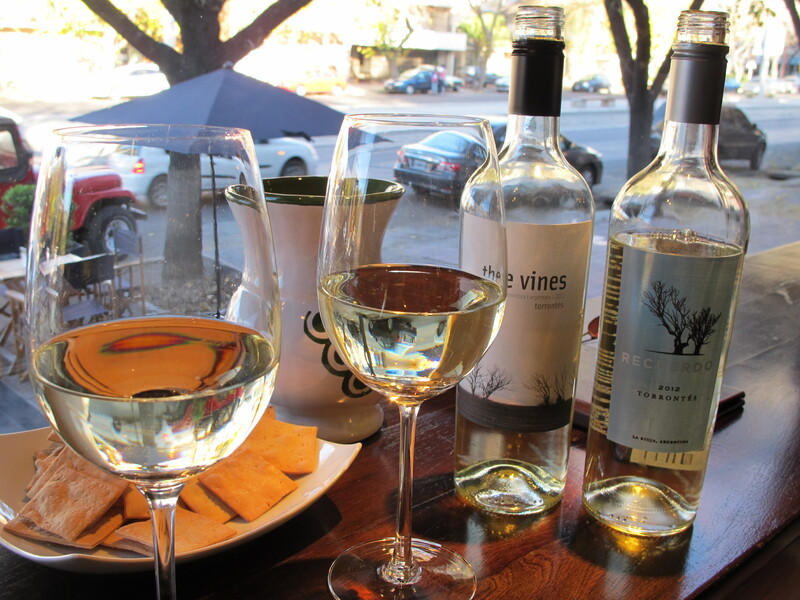 However, we ignored the offer and rushed back into the city to end the day with wine and cheese in one of great wine bars we had spotted earlier that day.